College degree in whatever from "yada yada yada"
My points above are totally not meant out of disrespect to my military brothers and sisters (who will always have a special place in my heart). I’m not trying to minimize the importance of college and schooling either. The point is that if you go to college (which I recommend) or in the military (make sure you have it together), don’t assume those things are going to help you deal with your personal life dis-satisfactions. Only Jesus can do that!! I did those things thinking college and the military would help me find peace concerning my personal issues and troubles. The truth is none of that did much to help me find peace or answers in my life. My story with God isn’t a traditional one, and I know there are folks who’ve had a tougher road than mine. I wanted to know how to “hear” God; how to hear His guidance to me in whatever problem or tough situation I faced. Spent 4 of those years sitting in front of a friend’s shop searching for “the truth” - (yeah, I had a day job - a good one too). Finally, I realized that when you accept the Lord as Savior, the truth isn’t “out there” as if it is in some distant land. It’s in His Word (the Bible) and “in here,” with Him in your heart. God continually tries to communicate to us through our hearts. You can’t hear Him though if you aren’t looking within, at the heart. But when you do, you can hear the voice of God in your heart, regularly! I’m blessed. When all that came together for me, the Lord led me to write the draft of “hearing God’s voice” (the Feelings 101 book) in 3 months. Keys was born through a dream the Lord gave me, and since then I’ve had a God-given sense of purpose I never deserved! Hilton is actually not part of the Keys organization. But, we met him a few years back and heard him sing at a little outdoor Christian outreach in the barely noticeable village of Sattler, TX. His Sonshine album music totally resonated with us. Soon after, we joined forces as brothers in Christ and he let us share his music on the Keys website. Check his music out on iTunes. Also, he's on FB! Hilton Johnson was born in New Orleans, Louisiana with a heart and passion for music. As an infant his vocal strength and stamina were developed due to an unjust act by someone with evil intent. At one week of age he was snatched from his cradle and placed under an abandoned house. After many hours, in the dark of the night, an elderly lady was awakened by a cry in the wilderness. Found unscathed and in good condition, Hilton was returned to his mother, who moved him away soon after. At age seven, Hilton began singing in church and at weddings. After graduation, Hilton married and began working in the oilfields. Eventually he began to question God, life and whether or not he was on the right path. May 3rd, 2001, on a drilling rig in the Gulf of Mexico, God revealed Himself to Hilton through the words "Why are you not a believer?" (the name of what would become a track on the Sonshine Album). Hilton thumbed the words to his first song, and it literally changed his life. He dropped all and followed Christ, his Lord and Savior. Six months later Hilton moved his family to the San Antonio, Texas area. 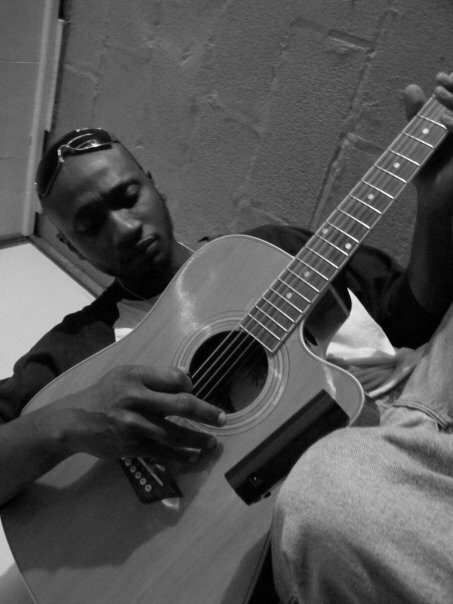 Hilton taught himself to play the guitar, and he has a unique and diverse love for music. He is inspired by truth, hope, love, change, current events and human difficulties along with a perspective from a power not of this world. Hilton and his wife have three daughters and a son. Hilton continues to minister to others for God's glory, and he is currently working on his next album. Freedom Outreach is also not part of the Keys organization (but we are certainly partners in Christ!). We hooked up with Fernando and Mary Jane a number of years ago and really connected with their love for Christ. They are dedicated. One thing I respect is that they've done what the Lord called them to more than a decade ago - that's awesome! Freedom Outreach was founded by Fernando and Mary Jane Gonzalez. Its goal is to bring the love of Jesus Christ into every community, by serving Him and other ministries to bring breath-taking concerts and revivals. Freedom Outreach grew out of a vision in 2003. One night God woke me up and gave me this vision that tens of thousands of people were going to be coming to know the Lord, and praising and worshiping Him through music. The amazing thing was I knew nothing about music. I knew nothing about how to promote or how to get bands. I said, "How am I going to do this Lord?" And He said, "If you stay spiritually connected with me, I will take care of it!" In today's world it is hard for parents to find festivals and concerts that they feel safe bringing their children to. This is why all of Freedom Outreach's Productions are 100% Christian oriented. We support many concerts a year. The ministries and bands that perform at our events are selected on the basis that they have a true heart for worship. Our productions are a celebration of life in Christ Jesus; to celebrate Him, honor Him, and to glorify Him through music. And at the same time, it is a chance to reach out to the lost, to the youth. Do you feel a need in your church or community? We want to help your ministry revive the community you live in. There are many ways to have a successful event of your own. You can either have Freedom Outreach take care of all the details, or you can contact bands and rent our stage, sound, lights, etc. 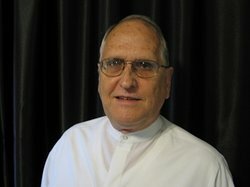 Our website, FreedomOutreach.com has a list of bands and ministries of all genres you can browse, as well as other information on details about equipment, availability, and planning. By contacting us you take the first step into waking up a town, saving souls, proclaiming the name of Jesus, and serving Him to put His spark back in the Church.